An energising day of clinical learning with 2 separate streams, each worth 6+ CPD points. 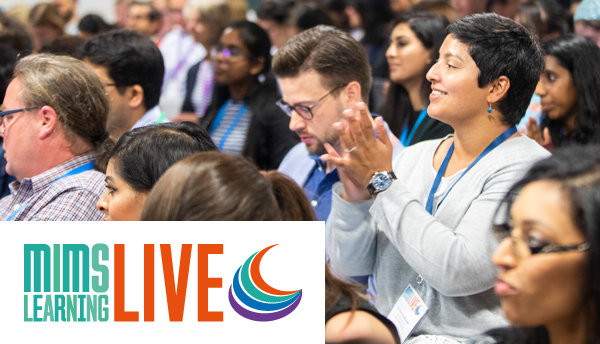 MIMS Learning Live is a popular event series providing high-quality education for GPs. In Leeds in May 2019, we’re holding MIMS Learning Live North. One of our most popular 2018 events, this energising day of clinical learning is now offering two separate streams, each worth 6+ CPD points. Each stream will cover a range of topics. With two mixed streams, delegates are guaranteed a selection of key clinical learning delivered by engaging expert speakers across a range of key therapeutic areas. Further details on stream sessions will be available closer to the event, and delegates will be able to then select their preferred stream.